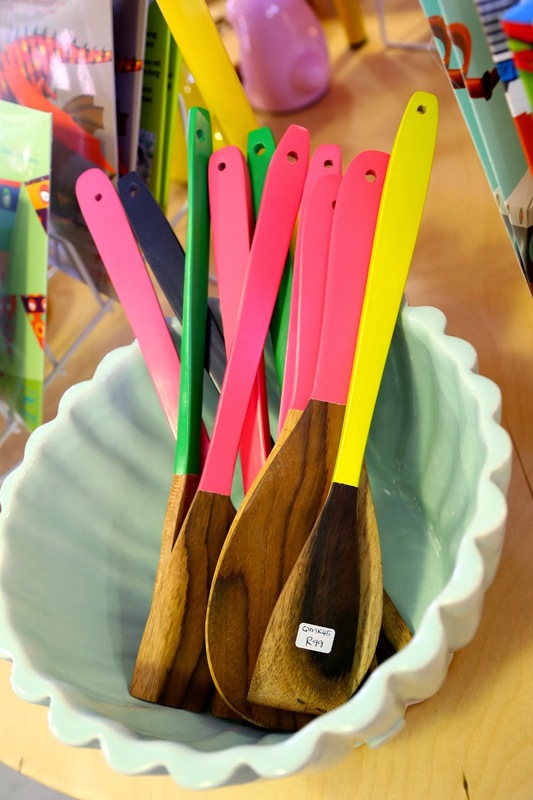 Colourful utensils, at one of the shops in Woodstock. 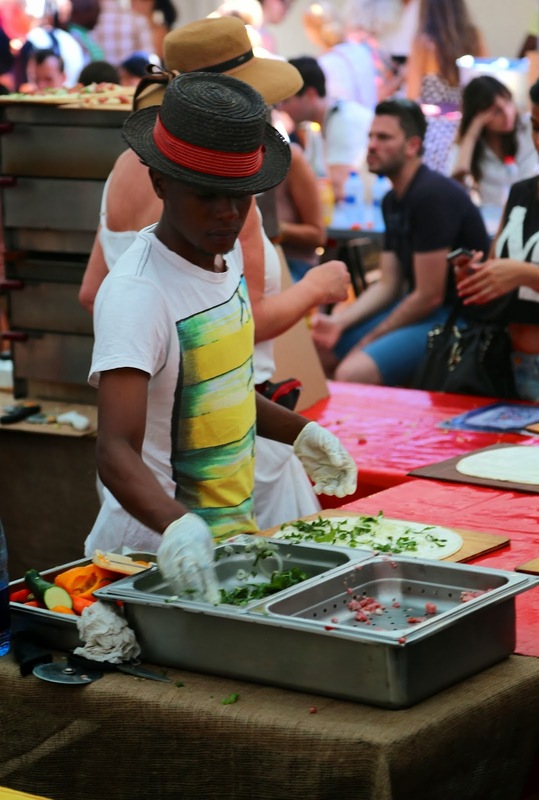 Cape Town has many varied food traditions, Afrikaans, British, Indian, Cape Malay and of course, indigenous African, and you’ll want to stop by all of them. On this occasion I didn’t manage to try out the latter, although this may change next week when I go to Franschhoek, in the wine region, about an hour outside Cape Town. Cape Town is hard to get a handle on, reminding me of Los Angeles, a splash of different neighbourhoods with an indistinct centre. You need a car to get around. I didn’t have one and spent a small fortune in taxis even though the exchange rate for the pound (18 to 1 at the time of writing) is excellent at the moment. Don’t get your hotel to call your taxi, they charge double, unless money is no object. I used Excite taxis (021 448 4444), the cars weren’t as swishy but the rates were good, 9 rand a kilometer. The taxi drivers were always friendly although I felt sorry for one who said he’d been on a 24 hour shift. “Isn’t that dangerous?” I ventured. “I try to take little naps between rides” he assured me. Do be careful about grabbing any old cab on the street. I did this, being told by a Capetonian that it was fine. It wasn’t. The driver seemed directionless, driving around in circles, didn’t have a meter and I started to get nervous. He stopped at a petrol station to ask another cab where to go, while I sat in the car. Apparently didn’t work, so he then stopped to ask directions from yet another taxi. This discussion took even longer, at least ten minutes. I was wondering if I should get out and make a run for it when the driver returned and said “Ok you give me 100 rand, then you get in this other taxi who will take you to your hotel and you give him 20 rand”. “Why would he do that?” I asked. I got out and asked the other driver “You are willing to take me for 20 rand?” “Yes that’s ok” he replied. Perplexed by this strangely uneven deal, I went along with it and got to my hotel safely. Never again. Always call a cab or arrange for them to pick you up. Because, the truth is, you can’t walk around, which is bloody frustrating. I don’t think this is white paranoia. You will get mugged in broad daylight. However the good news is, eating out is a bargain. You can get excellent, world class food at extremely reasonable prices. 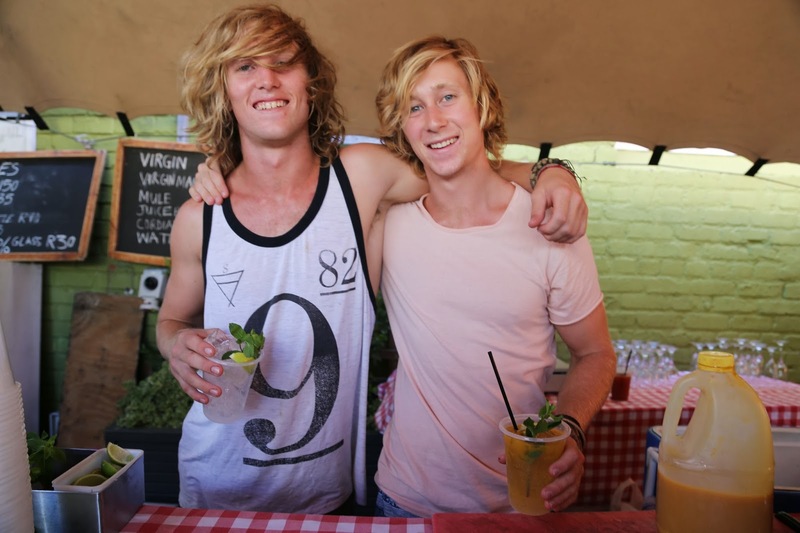 Surfer dudes, barmen at the Old Biscuit Mill Market, Cape Town. Mango chutney, by the container, Old Biscuit Mill Market, Cape Town. The Michael Jackson of salad, Old Biscuit Mill Market, Cape Town. 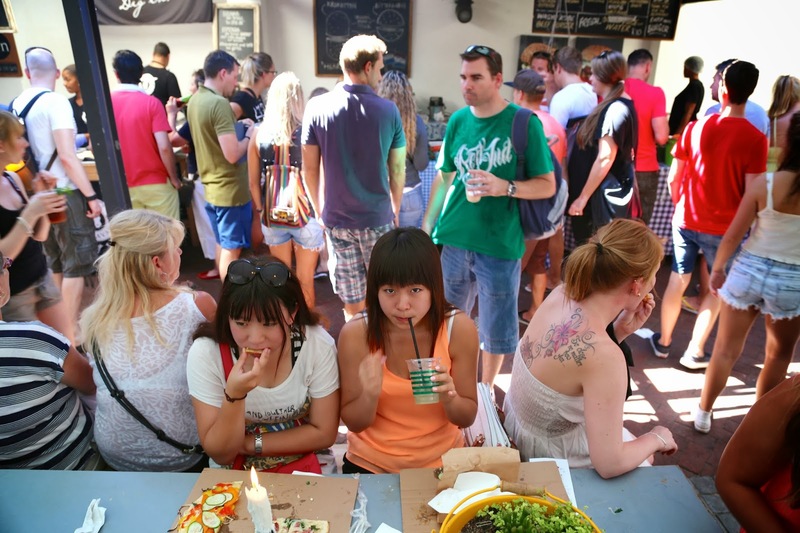 Old Biscuit Mill food market, Cape Town. 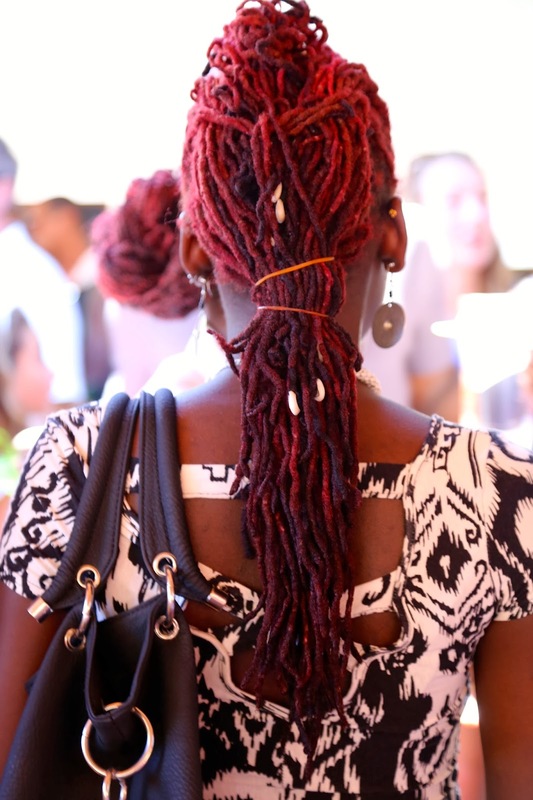 Markets: The Old Biscuit Mill on Saturdays is the place. 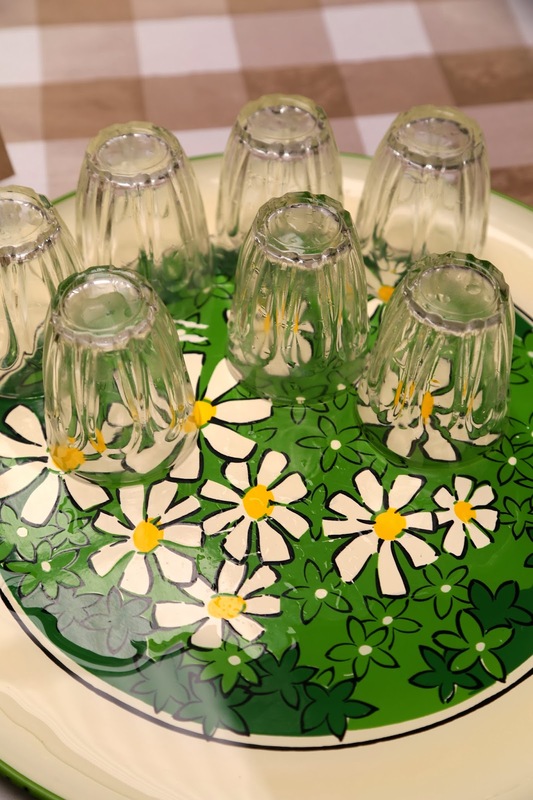 I found it vibrant, lively, with a wide range of delicious foods sold at stalls and drinks bars. There are large tables in the middle where people can sit down and eat and live music. The whole experience reminded me of the vibe of my underground farmers markets. Everyone dresses up to be seen so it’s also a fascinating people watching exercise. As a market, there a few stalls where you can buy food that isn’t cooked, some home-ware stalls and shops, great folded steel knives and chopping boards made from medical grade synthetics used for hip replacements but that feel like marble. 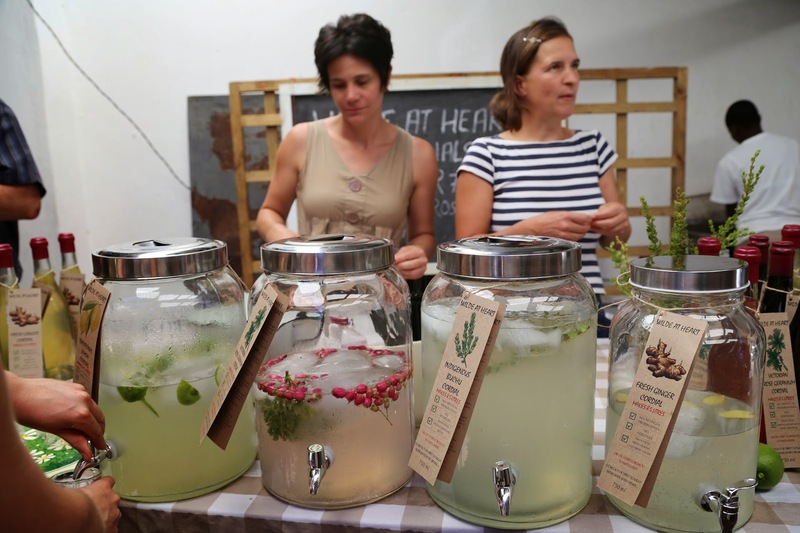 Also recommended: The Woodstock Exchange, 66-68 Albert Rd, Woodstock where you can visit the Lock Stock Market on Saturday mornings. 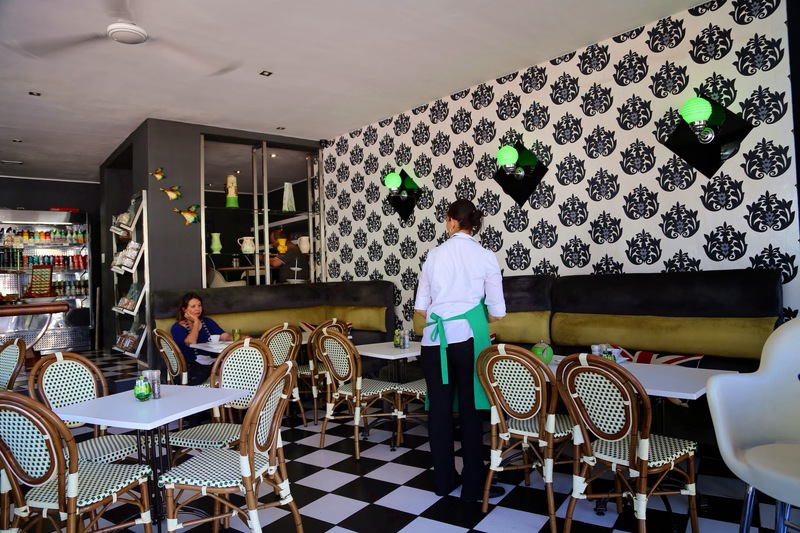 Woodstock is a cool, up and coming area, other places to check out in the vicinity include The Kitchen, ideal for lunch; this is a Cape Town institution run by Karen Dudley who has authored a couple of beautiful cookbooks. Breakfast is great at The Superette in The Woodstock Exchange. 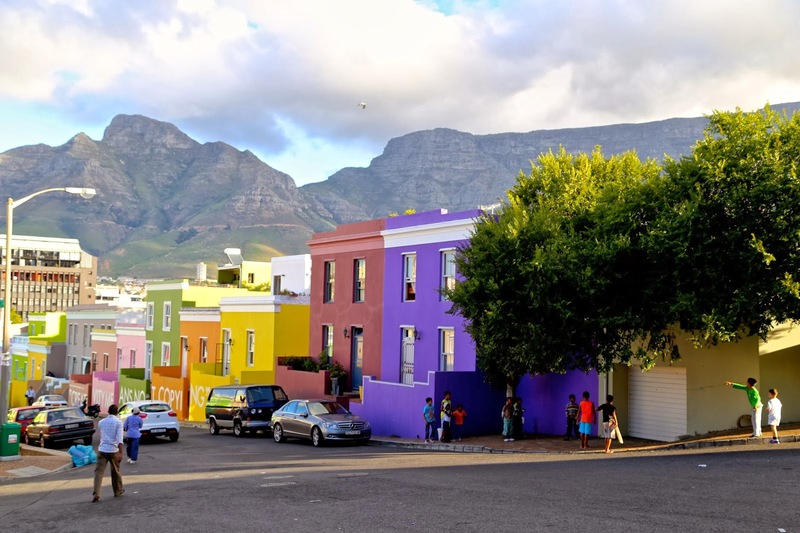 Cape Malay area in Cape Town, Bo Kaap. Cape Malay food: this isn’t, as you might think, Malaysian food. If anything it’s Javanese or Indonese. So no peanuts. The food is similar to Indian, with curries, rice, roti, samosas, dhal, and gram flour fritters similar to bhajis but called dhaltjies, but the difference is that Cape Malay curries are sweeter with less heat, often adding dried fruit and nuts to the curries. The names are often similar with different spellings, breyani for biryani, rys for rice, except for bredie which is a kind of stew and frikkadel which are meatballs. (See my Durban/Cape Malay fusion recipe Bunny Chow with peach curry). There is also the addition of dairy, particularly custard which is seen in the frankly bizarre sounding bobotie, shepherds pie with custard anyone? 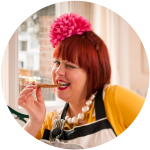 (makes my Doctor Who themed menu with fish fingers and custard sound quite normal) and the more culinary conventional melktart or custard tart. The Cape Malay curries are always accompanied by a vast tray of multi-coloured sambals or atchars, cool and hot (pickles/chutneys/relishes). I’m a girl who loves a pickle, and I fell in love with the mango sambal I had at the 12 Apostles hotel so I bought a large tub in the market which wasn’t quite as good but an ok approximation (note to self, DO try this at home). I checked out Biesmiellah, one of the oldest restaurants in Cape Town, 40 years strong, in the Muslim Bo Kaap area where they have all the picture-postcard brightly coloured houses. 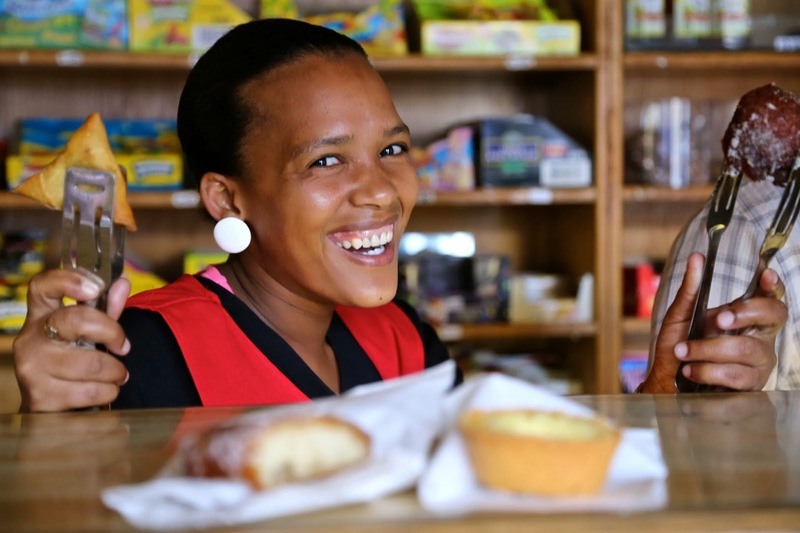 Biesmiellah also has a takeaway and shop next door where I tried the bollas and the koe’sister, the Cape Malay cousin to the Cooksister pastry. The Koe’sister is more doughnutty in texture, with anise flavourings, coconut on the outside and is less sweet than the syrupy Cooksister or Koeksister. The lady at Biesmiellah told me her doughnut secret, add milk and mashed potato to the dough. This way the doughnut will remain soft all day, not stiffening up as doughnuts usually do. (Again, must try at home). 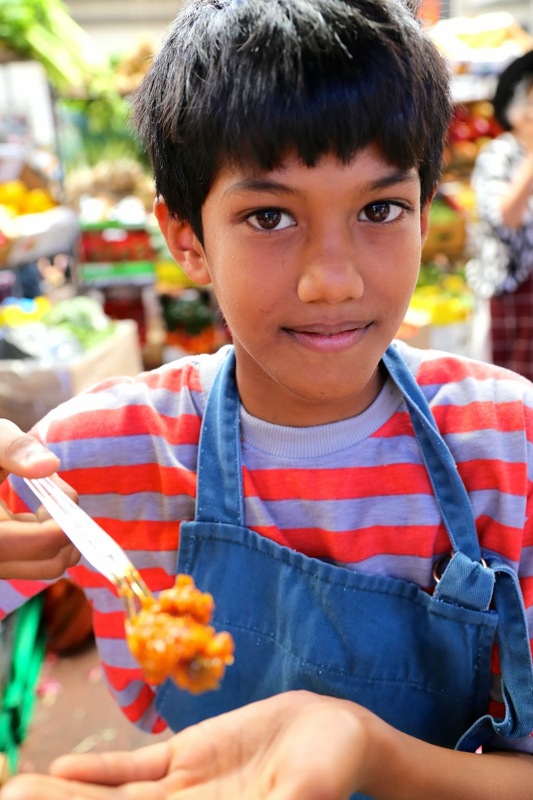 To get the best Cape Malay food, you need to eat at someone’s home. Perhaps some enterprising soul will open a Cape Malay home restaurant. I’m going to be trying out some Cape Malay recipes myself, having bought the beautiful Bo Kaap cookbook. (By the way, there is no South African Amazon site so book stores are the main places to buy books. Someone told me that Amazon closed because so many deliveries went missing and couriers were too expensive that it wasn’t worth continuing). 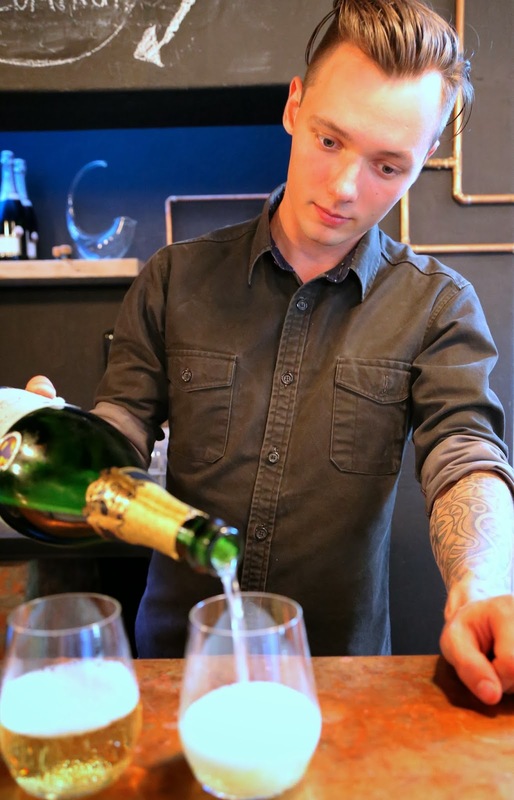 Pouring sparkling wine at Publik, Cape Town. 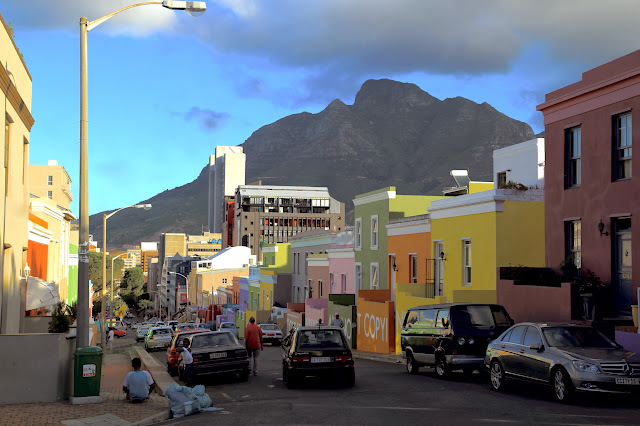 Bree Street, not far from the Bo-Kaap area above, is another trendy foodie haunt with some really good restaurants and bars. I was taken on a little tour by Clara Bubenza, the chef from A beautifull Life in the Youngblood building (70-72 Bree St), part art gallery and part cafe. This lady, who created the first chefs school for women in Egypt, has a huge personality, and is greeted by friends wherever she goes. 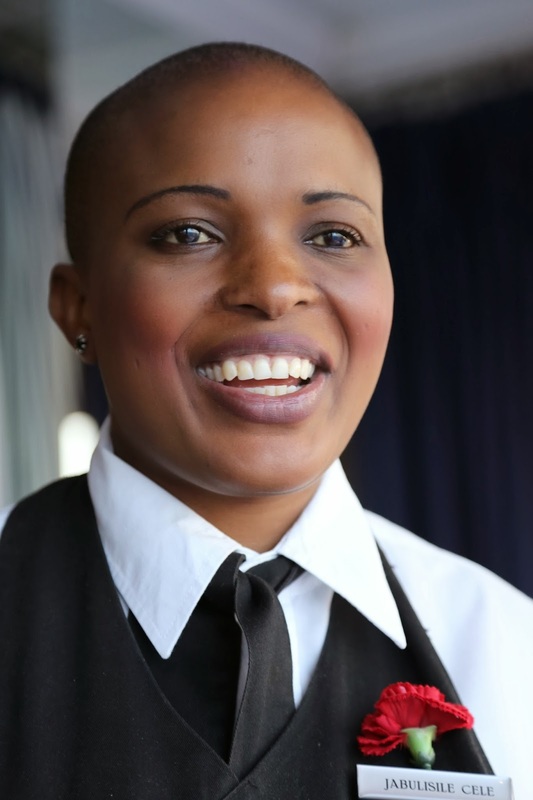 I was introduced to her by Greg who has been running South Africa’s first roaming pop up restaurant events Secret Eats. 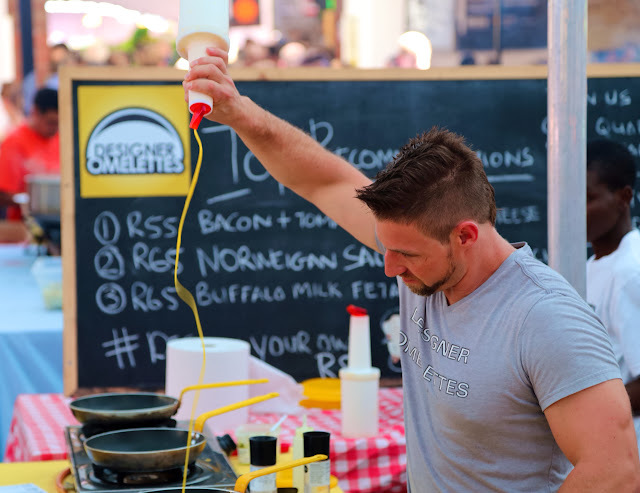 He’s an American who has been living in Cape Town for two years, but he’s now a central part of the food scene, partnering with innovative chefs. Both Greg and Clara were a hoot to hang with. 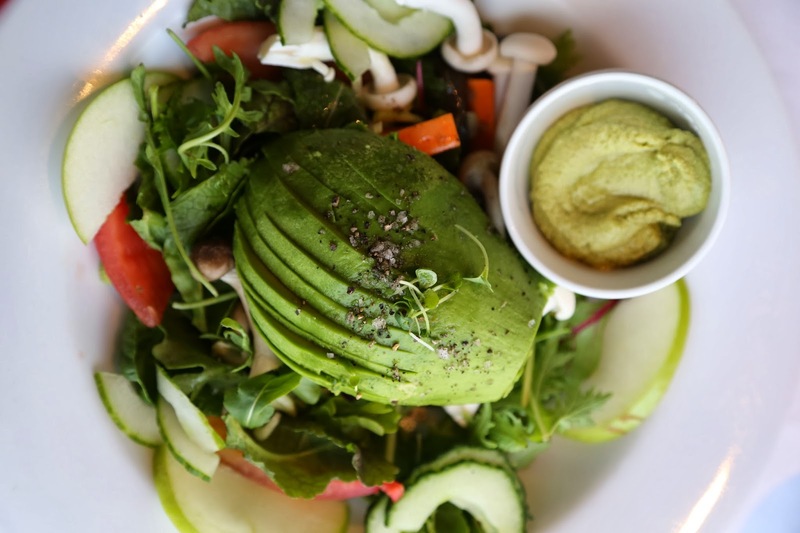 I ate at Birds on Bree, which was recommended to me from several different sources. The chef Kevin Mink is evidently very talented. Although my first plate was possibly over-styled for my tastes, being at heart a peasant, the flavours were sublime. Food you ponder on later and think, I can’t wait to go back. Pudding was preserved lemon icecream (MUST copy) with a spiced apple tart. Do go. I had a drink at Publik, a meat shop and wine bar started by food blogger David Cape. I went there in the evening when the butchery wasn’t open but this took London restaurant Meat Liquor’s abattoir theme and ran with it. Behind the butchers counter and thick glass walls you can see entire hanging carcasses, all very Damian Hurst. During the day, people do their meat shopping, butchers carving prime cuts of ethically reared meat, while relaxing with a glass of wine from nearby vineyards. Perhaps this is the modern equivalent of memento mori, whereby we may contemplate death (but not ours). The service is simultaneously casual and friendly: “How about two glasses of sparkling Stellenbosch wine for 50 rand (about £2.75p) each?” suggested the barman, waving a magnum bottle. “Sold” said I. Other Bree St. recommendations include: Bizerca Bistro, french fine dining, craft beers at AndUnion and reportedly exquisite Italian food at 95 Keerom a couple of blocks over from Bree St.
Kloof Street is another restaurant heavy area where you can look up and see Table Mountain customarily napped with a rolling cloud tablecloth. I visited The Black Sheep, only open a couple of months but packed. Headed by chef Jonathan Japha, the constantly progressing menu, chalked up on the black board, changes every day. I only had one dish because the weather was so humid (I tend to lose my appetite) on the night I went but both food and service were vibrant. Plus I’d already had late lunch at the stylish Liquorice and Lime, an enormous ciabatta style sandwich, a tramezzino with salad, surrounded by appropriately green and black interior. They also sold a fearsome two foot long twisted croissant in their bakery section. Other recommendations in Kloof St include Caffe Milano, the bakery arm of Giorgo Nava, the Italian head chef of 95 Keerom. Where I didn’t get to eat was at a township restaurant or home in Cape Town. 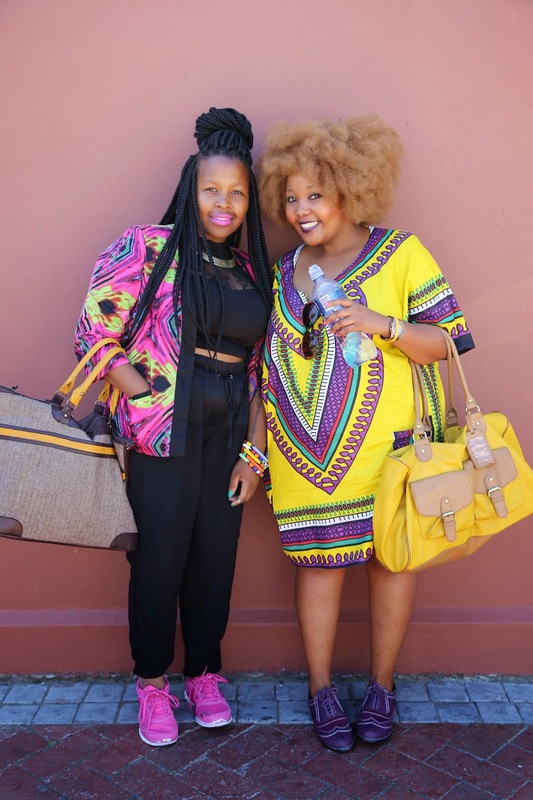 Locals recommended Mzolis in Gugulethu, a nearby township, where they have African braai stalls and music. The problem for me is that the indigenous African diet is very meat based but I’m sure I could have found some local tidbits to eat. Next time. 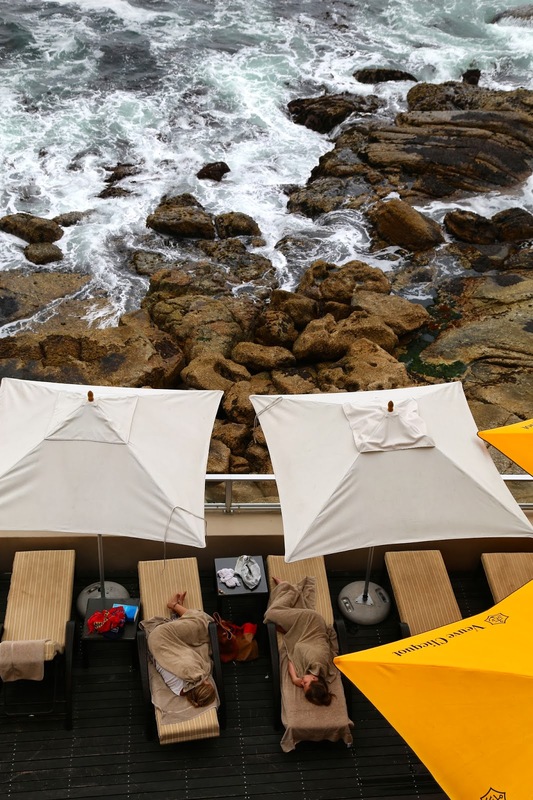 In terms of hotel restaurants I had an elegant meal at the 12 Apostles hotel, past Camps Bay. The service was unparallelled at a beautiful location. 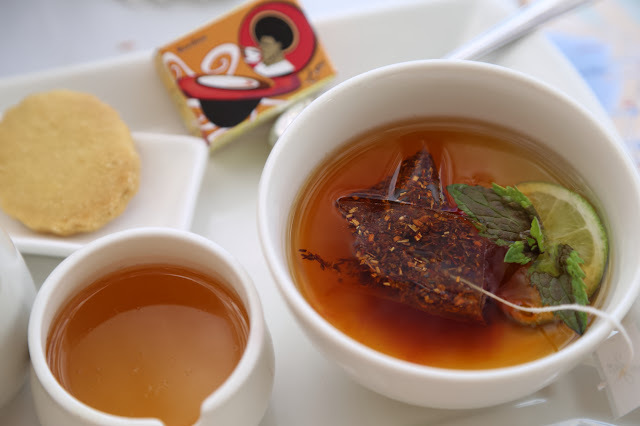 I also had high tea there ‘Tea by the Sea’, a Victorian African experience, leopard-skin waistcoated waiters with blinding white shirts and impeccable manners, cups of rooibosch and tiers of cakes and sandwiches. But no matter how high end the restaurant, the prices are a fraction of what you’d pay in London. 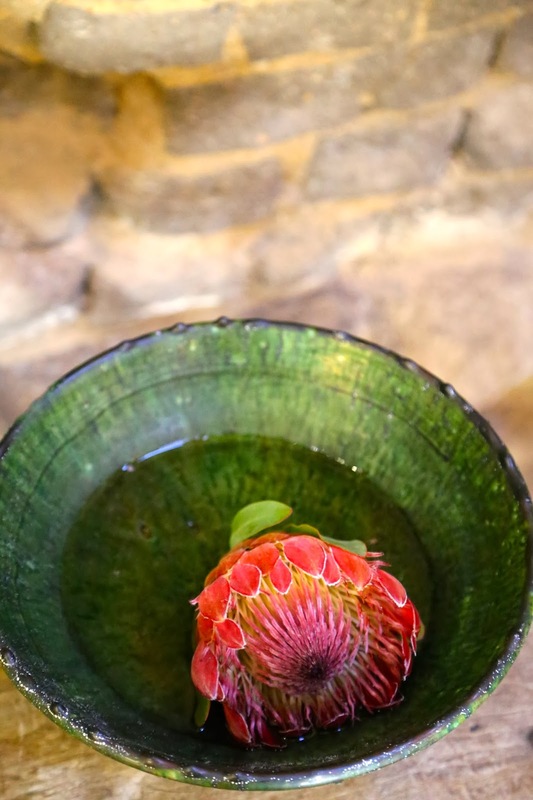 Thanks to Jeanne Horak-Druiff of Cooksister, Sonia Cabano, Clara of Beautifull Life cafe, Greg of SecretEats, chef Grant Hawthorne and particular thanks to Ishay Govender-Ypma of Food and the Fabulous for help and introductions, you couldn’t find better guides to Cape Town. Oh yes, Mzoli's is a must for carnivores! Pick your meats from the butcher, have them cooked on the braai, served with pap, eaten with your fingers! You can buy beers through the neighbours windows (mzolis dont sell alcohol, to keep the locals in business, so they don't complain about the noise!). If theres no live band, people pull up their cars, crank up the sound system, and dance the night away! Sounds like a laugh. Tried to book a township tour of food but the guy took 4 days to reply to my email and then said there was no space! For one person! One problem with Cape Town I found, as a Londoner, is that they were very slow. Business is hard to achieve there except for a few clued up people. Cape Town is the California slow town of South Africa, whereas Jo'burg, they move fast.